Opening a franchise requires a lot of upfront capital, but don’t let that dissuade you from your entrepreneurial ambitions of being a business owner with a proven brand. Franchise financing is possible and many successful franchise owners have gotten their start by borrowing enough to get going. In this article, we cover all the important things to know before you jump into the world of franchise financing. 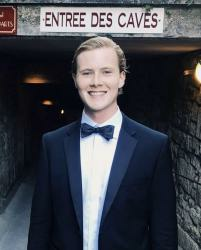 What does it Cost to start a Franchise? First and foremost, what does it actually cost to start a franchise? Just like any other brick-and-mortar business, starting a franchise will include real estate, equipment and inventory expenses. But there’s more for franchisees. 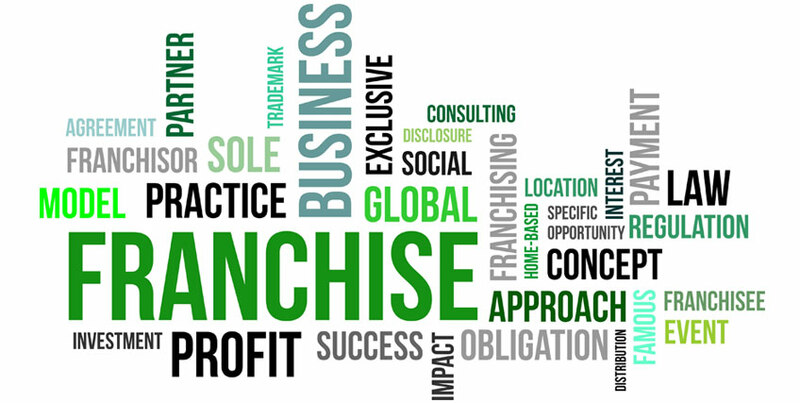 Most companies charge an upfront “franchise fee” to start your franchise, either paid in a lump sum or installments. For example, McDonald’s charges $45,000 and Wyndham Hotels charges $150,500. You’ll also be responsible for royalty and advertising fees. Usually, this will be a percentage of your sales. For a full breakdown of every company’s franchise fees, you can refer to the Franchise Disclosure Document (FDD). The Federal Trade Commission requires companies to give an FDD to all prospective franchisees at least two weeks before signing any contracts. Everything you need will be in this document, from franchising fees to potential financing options. For some franchises, expensive equipment can be necessary to get your shop up and running. Typically, the franchisor will be able to lease the equipment to you, with special concessions such as 6 or 12 month buy-backs. If not, you’ll want to seek out a third-party supplier who can provide you with the best terms for your equipment or consider buying used equipment, furniture, vehicles, etc, depending on what is allowed by the franchise company. 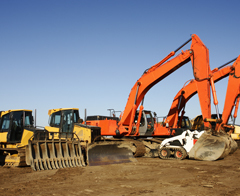 Equipment financing can be a great option here as well to make it easier to get the tools you need. There are numerous concessions you can negotiate with your landlord from tenant improvement allowances to reduced rent. As always, you’ll want to hire a lawyer to check over your lease agreement before you put pen to paper. It might cost a bit more up front but it could save you thousands down the road. Some franchisors will offer help to franchisees in sourcing their lease in order to secure the best possible deal. Check Item 10 of the FDD to see if your franchisor offers financing options or if they work with a specific affiliate to assist in funding and speed up your time to open. More and more franchises are offering loan programs to combat tight lending environments and to facilitate more openings. Some franchisors will even help guarantee or take on a portion of the responsibility for payment in the case of a default. Given the tight lending environment at big banks, some franchises have even started offering discounted or deferred franchise fees, or even refunded franchise fees if financing can’t be secured. About 10% of all SBA loans go towards franchise financing. The SBA’s programs serve to guarantee all or a portion of loans for an intermediary lender, an institution that facilitates the channeling of funds between lenders and borrowers indirectly, to remove some of the risk and make it much more likely that they will be willing to work with small business owners. Through the 7(a) and CDC/504 programs, franchisees can possibly qualify for a low-interest commercial bank or alternative loan that would otherwise not be available. The SBA is a great option for first-time franchisees, as the SBA is filling in the credibility gap that you would otherwise have when trying to obtain traditional bank loans on your own. And your loans will have regulated maximums because your interest rate is controlled proportionally to the prime rate capped by the federal government. Really, the only downside to the SBA is how long it can take to know whether or not you’ve been approved and subsequently to receive the funds. Borrowers can wait up to several months without receiving a decision. If you’re itching to open the doors to your new franchise sooner than that, you can also work with a financing provider who can provide a bridge loan or other type of short term financing. Many of these will even help you secure an SBA loan so you can spend time focusing on running your business. Have a 401(k) or another type of retirement fund? Using your retirement fund to finance some or all of your new franchise may be your best option. In order to do so, you’ll need to create a C corporation that can be used to buy stock in your new franchise business without having to pay taxes or an early withdrawal penalty. A ROBS is not a loan, so you won’t be subject to debt or interest that you need to pay back. You’ll be able to conserve more of your income to help your business be successful in the long run and reinvest in itself. Despite the benefits to a ROBS, there are a few drawbacks. You need to be hypervigilant in regard to the current IRS rules for these ROBS plans as they have recently come under scrutiny. And certain retirement accounts, such as Roth IRAs, are not eligible for a ROBS. Given that you’re using a retirement account to fund your franchise, this also isn’t usually a good option for young people who haven’t had a chance to build up their retirement accounts. And if your franchise fails, you could lose all your retirement funds, so it’s a decision you should consider very carefully with the help of a financial advisor. Definitely not the first option you should consider, but crowdfunding is a new and creative way to try and obtain financing for your franchise. Typically, this is reserved for when your franchise doesn’t offer financing, and bank, SBA, and alternative loans don’t pan out. This is a great option for potential franchisees with one or more blemishes in their financial history and can always be used as a back up if the loans and interest rates you are being quoted are unreasonable. Comfortable with using your personal home as collateral for your new business? As long as you have at least 20-30% equity in your home, a HELOC could be a great way for you to get low interest financing to fund your franchise. You’ll get access to a lump sum of cash immediately, and just like a normal business line of credit, you will only pay interest on what you’re using. Again, this is another option that comes with a lot of risk and should be considered carefully. If you’re married, for instance, you’ll want to talk this option through with your spouse. While not necessarily recommended in all cases, one of the more common ways to get financing to start a business is through friends and family. 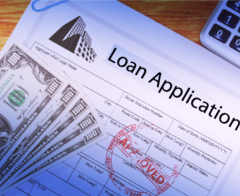 Despite the favorable terms and the ability to structure the deal to your liking and with no specific requirements, there is always the possibility these types of loans can cost you a lot more than just money. A loss of friendships and family is a real possibility when entering into an agreement like this. Issues ranging from a lack of clarity, to tax issues and strained social relationships are all downsides to friends and family loans. If you do decide to go the friends and family route, the single most important thing you must do is draft up a specific contract that details repayment terms and exact expectations. Making sure that everything is written down can avoid unfortunate confrontations, legal or otherwise, later on down the road. Opening a franchise is one of the best ways to get your entrepreneurial feet wet. It allows you to hit the ground running with a known brand name and takes out some of the difficulties more traditional entrepreneurs face. However, just like any business, franchises are capital intensive and require upfront cash. 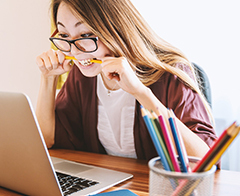 Make sure to do your research on all of the possible financing options so you can choose the one that makes the most sense for your personal financial situation in both the short-run and long-run.